Floriberto Vasquez Ruiz is the winner of the National Environmental Award for Indigenous Youth (1908). He is a consultant on sustainable tourism and community development. 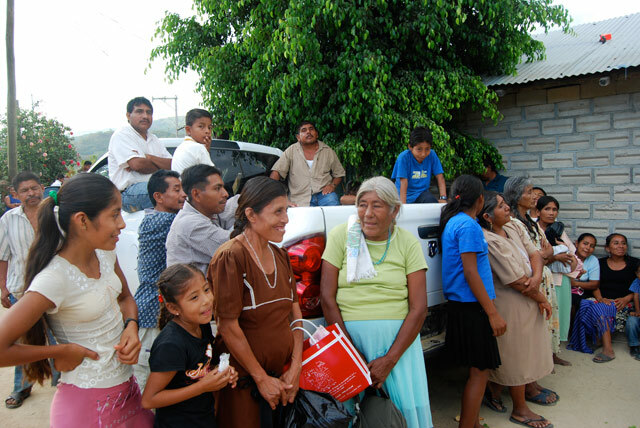 The Xiches (pronounced SEEchay) are one of the peoples who inhabit the mountains above the southeastern coast of Oaxaca. Their language, one of the 60 dialects of Zapotec, is also called Xiche. 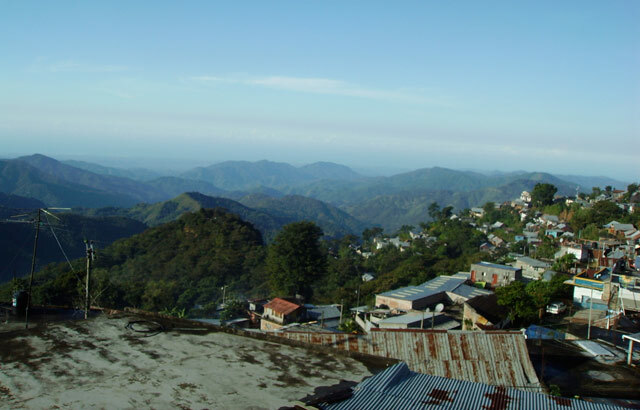 Today they mostly live in the municipalities of Candelaria Loxicha, San Agustín Loxicha, San Baltazar Loxicha, San Bartolomé Loxicha, and Santa Catarina Loxicha; although many have migrated to Santo Domingo de Morelos, Santa María Tonameca, San Pedro Pochutla and Santa María Colotepec, or as far as Mexico City and the U.S.
My family comes from San Agustín Loxicha, but I grew up in Tonameca where my parents were bilingual teachers (Zapotec-Spanish) at the elementary school. 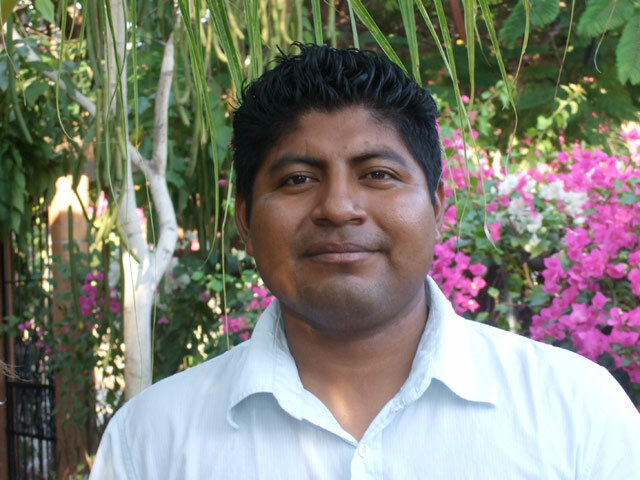 After graduating from UMAR (part of the Oaxaca State Univeristy system) with a degree in tourism administration, I worked at the Red de los Humedales (Network of Wetlands) in Ventanilla, Tonameca. There I learned how to work for the community and the possibility of creating options for sharing our culture and land with people from other places so that everyone would benefit. Now I have returned to the land of my parents and grandparents, where I have found an unspoiled environment, where the water from the rivers is plentiful and clean, and deer, rabbits, mountain lions and snakes abound. The people of the countryside, however, are not faring as well as their surroundings. The biggest problem is migration: the young leave to seek a better life, one that includes owning a pick-up truck, a cement house, a TV, and a cell phone etc. Many of these young people want to return to their villages after obtaining their material dreams. Meanwhile, there is no one left to work the land,and the people who remain have become impoverished. The dirt roads are in terrible condition, full of deep pot holes. In the rainy season they are impassable. The countryside has been abandoned, and for the first time there is a shortage of food and malnutrition. The villages will disappear unless they find a way to create employment that will allow a level of consumption that has become the norm for life in the 21st century. What I do now is work with women and young people to create new businesses like growing flowers and ecotourism. One plan is to make paths in the mountains, with cabins, for hikers. It’s also important to encourage teenagers to continue their studies and to go on to college. This is the only way we are going to have economic development without losing our language and identity. We know that the modern world does not have all the answers and that we also have much to offer in the way of models for self-sufficiency and living in harmony with others.